Don’t look now, but the Cats are coming – the Wildcats and Bobcats! Post season is just around the corner and the Cats are sizzling. The Arundel High Wildcats – the school with the most state baseball championships (10) in Maryland history – has soared from No. 20 to No. 11 in the VSN Top 20 after re-entering last week and winning 12 of its last 14 games, while the defending Class 4A State champion Bel Air Bobcats have crashed the ranks of the elites to zoom to No. 12 after falling out in mid-April before embarking on an eight-game winning streak. 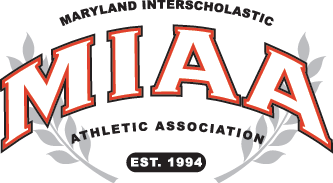 Archbishop Spalding, Calvert Hall, Severna Park and Chesapeake held on to 1 through 4 in the rankings while Reservoir and Patterson Mill traded places at Nos. 5 and 6, River Hill slid from 7 to 8 after losing to an unranked team. Old Mill tumbled from 8 to14 after losing two of three games by a total of 27-0. Dulaney, Gilman and Marriotts Ridge profited from the results and have moved up to 7, 9 and 10, respectively. Trying to stay alive in the MIAA A Conference, St. Mary’s has lost 3 of its last 5 games after their coach Johnny Poss was forced to resign and the Saints have slipped from 13 to 15. Catonsville (then No. 17), Glenelg (then No. 18) and North East of Cecil (then No. 20) all took the exit door with the first two losing to unranked teams and North East fell two games behind in the loss column (10-3 to 9-1) to Bo Manor in the UCBAC Susquehanna Division in a 6-5 loss to the latter. Arundel, a perennial contender for post season honors, especially for the epitome of such – state championships – appears to be making one of its patented late season runs and this coming week could be a prime indicator. The Wildcats (13-4 overall) are in position to first win the Anne Arundel County title. Arundel is 12-2 in the County circuit and visits No. 4 and 12-1 Chesapeake today (May 1). No. 3 Severna Park is third at 11-2, including an 8-2 loss to Arundel, but with a 13-8 victory over Chesapeake and the Falcons (14-2) will visit the latter Cougars (13-1) on Wednesday. The top TWO finishers among the three teams will settle it all in the Anne Arundel Championship game 7 p.m. on May 9 at Joe Cannon Stadium in Harmans. The Bel Air Bobcats (11-5) have been roaring through the UCBAC after going 0-4 the week of April 9 to fall out of the prestigious rankings at 4-5 overall. With a pair of 4A State titles since 2013, the Bobcats are 10-1 in the UCBAC Chesapeake Division, a half game up on 9-1 and sixth ranked Patterson Mill. The latter Huskies have won the last three games with the Bobcats dating back to last season (2-0 in 2016) and host the latter Wednesday.